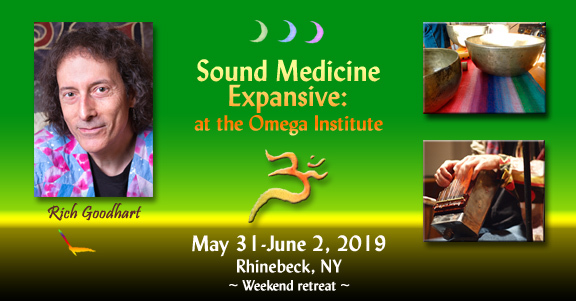 One of the modern approaches to sound healing modality is matching the tones of the instruments (gongs, singing bowls, tuning forks) to "planetary frequencies". The planetary frequencies in this case are not the vibrations of the planetary surface or it's heart beat, but the orbital period! For example, the orbital period of the Earth around the Sun is 365.26 days. So what would be the sound of the Earth? First we should calculate how many seconds is it taking to the Earth, to complete the circle around the Sun. The next step will be the division of one second by this number. The result is 3,168722x10 - 8(ωHz), which is the note C# of the minus 29th octave. The process of converting planetary orbital period to sound, doesn't stop here. When you look at the calculated values of planetary frequencies, you realize, that the numbers are way too low to be called a "sound". Now we are taking the result and doubling it till we reach the value of the frequency that could be heard. In other words, we just escalating octaves. In case of our example, by escalating the octaves we will finally reach the value of 34.25(ωHz), which is an audible frequency (audible frequencies range for an average person is 20Hz - 20kHz). With the frequency of 34.25(ωHz), we can jump one, two, three and even four octaves higher 68.5(ωHz), 136.10(ωHz), 272.20(ωHz), 544.40(ωHz) and still could refer to these numbers as "the sound of Earth - year". Using this method it becomes possible to convert any known orbital period of planet to sound. I can calculate the sound of Earth - day, Mercury, Neptune, Saturn, etc. Please note, that the method described here, is dealing with the planetary rotation speed. The conversion of planetary angular velocity (radians per second ωHz) to the ordinary frequency (cycles per second Hz) is being totally neglected! The ordinary frequency's value would be smaller than the radiant frequency's value by 2π. Also whatever may be brought to you as the planetary frequency is NOT a planetary frequency, but as it was shown, one second divided by orbital period, multiplied by millions. I have no judgment about the method of using "Planetary sounds". It's up to you to consider if that could really work for you. Just don't pay extra! A few decades ago, one wacky European, probably after tripping on something, decided to theorize about the sound of moving planets. Then a few decades later, the few people that cared about such a topic decided that the whole notion was stupid. Hearing is an event in our minds. If you want to hear the planets, you have to go up into outer space. Oh - that won't work because sound doesn't travel in outer space - nuts. I saw "Gravity." Sandra Bullock ruined the whole future of sound healing! In my mind, it is so inconsequential and so distracts from the real important points that could be discussed. Personally I don't care about planet tones, chakra tone, dna tones, or any other "magic" tones. All tones are good. All tones are magic. The truth of life and vibration goes so far beyond planet tones and chakra tones. If people would stop focusing on this new age nonsense, maybe this space ship would actually get off the ground. Then you'll start seeing some real magic, trust me. Thank you Joseph for your reply and especially for the opinion on the "Gravity"
My agenda as yours, is to spread the truth about the subject that I am so passionate about. When I don't know the truth, I say that I don't know the truth, but also when I see something false, I have to make it stop. You are absolutely right saying that the sound goes beyond all these false statements. I think it should be our common goal to show people the real magic and it's our goal to get this space ship off the ground. Thank you for being mediator between the people and the sonic beauty for all these years. This is the primary reason for why I started this forum. well, this was the nice version. I took the gloves off in the other thread. lol. Tell me if I'm being too mean. Thank you for posting honest info about this. I spend a lot of time explaining it to people who have been fooled into thinking it has something to do with the sounds of the planets. What I do like about it is getting to hear and/or feel the ratios between the planetary orbital frequencies. The ratios themselves are interesting to me. In music, we have many scales and ratios and one such set is that which is traced out by he planetary motions. Although I have seen no reason to suspect that it has special powers or any such thing, it does at least have a very strong correlation to a “real” physical system. This, of itself, makes it noteworthy. Although not universal like the harmonic series, it is at least “really there” in Nature and therefore, in my opinion, worth exploring. Dear community, could you please explain, while calculating the planetary frequencies, why do we neglect the fact of taking for reference angular velocity (radians per second ωHz)? Yes, of course, one full rotation could be considered as one full cycle but is it really the same when we talk about sound frequencies. The "ordinary" frequency's value would be smaller than the radiant frequency's value by 2π. @Guy Beider - While this isn't a direct answer to your question, it opens a door for another kind of planetary frequency I am interested in. I have actually been using the orbital velocity to define a planet's frequency for a few years now. This is purely philosophical/pseudoscientific at this point, and not to be considered a real base frequency for a planet. In my studies I use the orbital velocity in place of the speed of sound, and 2x the diameter of the planet to define the wavelength. This suggests that a planetary body's structure is essentially a sine wave with a near 1:1 ratio to its amplitude. By doing this it is fairly simple to convert the mean velocity of a planet like Earth (29.78 km/s as per the NASA FactSheet) and it's supposed wavelength of 25512.548 km (which is 4x the equatorial radius) into a sound of 0.0011672687494797 Hz. Bringing this up 17-Octaves we have almost exactly 153 Hz (152.996249531799 Hz). And if you were tuned to an A of 432.74 Hz your D# would sound at this relative frequency. This is 99.85% "intonated" with the currently accepted orbital frequency of the Earth which is closer to a C# intonated with a 432.1 Hz A. Rich will confirm that these are not necessarily true with regards to a "just intonation" system. But I am not sure if there is a good just intonation calculator online that I don't have to download to use. Is there one you like @RichG? It would probably be good to start re-analyzing all of my work with regards to just intonation! But I think in order to truly find the resonant frequency of a planetary body, we must first strike it (or witness it being struck) with a large enough mallet (like an asteroid, moon or planet) and then observe the resulting resonance created by such an impact. Considering that such an impact would be likely devastating to the planet, it would be a good idea to be off planet with a sensor placed somewhere on planet. Ideally, this sensor would be able to communicate in a quantum fashion so that the resonance reading would be instantaneously projected to the receiver that we would be collecting our data from. This is kind of like how it can be really difficult to discern the frequency of a human body as there are so many variables under the surface. And perhaps since each organ/material state has its own frequency and it would be impossible to define a singular frequency to anything. I mean from atomic to cellular, we currently do not have a way to define frequency since there are so many variables at every order of creation right? Isn't attempting to distill a single note out of anything foolish anyway? Since complexity is the rule in nature? And although refined properties can be considered medicinal, couldn't they also be considered too intense for everyday use? I think planetary gongs are pretty cool because they obfuscate the central tone with enough harmonics and overtones to perhaps make them more useful for therapeutic practices. But perhaps the best gongs are the ones that don't really have a focus on their fundamental, but instead a range of possibility? Then again, I wouldn't necessarily consider noise to be therapeutic. So there is obviously some benefit to organized sound in healing and health. This is where I wonder if @kcoul 's idea of finding a constant background radiation of some distilled sound from the universe might not actually be a great idea. I read somewhere that plants exposed to a certain tone (I think it was 50Hz) 24-7 actually caused them to sicken and perish. And in my own practice, I find that a little silence goes a long way with regard to sound healing. It would be an interesting experiment for sure. But based on work environments which are never truly silent, I can't imagine a constant tone of anything being a great thing for an environment for wellness. Yeah, the Earth's orbit is a slightly eccentric corkscrew that follows the Sun. depending on how close the Earth is to the Sun it's velocity changes slightly throughout the year. This is what Kepler's second law is all about. Basically, it states that an orbiting body will carve out the same area of the ellipse of orbit, no matter what distance from the focal point of the orbit. So when the Earth is closer to the Sun, it is moving faster and when it is farthest it is moving slower. Currently perihelion (closest to Sun) is on January 3rd and aphelion (farthest) is on July 4th. So doing further assumptions based on my silly ideas, we could say that the Earth's frequency shifts from highest (Jan 3rd) to lowest (July 4th) and back again. Anyway, this is all food for thought. But we'll see if I can ever coherently render this information in a way that might serve the inhabitants of this planet in a meaningful way. Currently, I am just looking for correlations that might help us to better understand our own psycho-somatic well-being and its relationship to the cosmos. Thanks everyone for all of your thoughts here! I'm sorry I've been away from the forum for the past month or so. Guy, I'd move your post from the 432 thread over to here, but I see you've spoken to the same ideas here. John, you're way more involved in these planetary calculations than I am! Thanks for bringing your insights, and particularly the information about variable planetary velocity which would in fact cause a range of pitch change in the "planetary frequency" of earth (if there actually is one perceivable by such a perspective). Regarding an online Just Intonation calculator, there isn't any that I know of or use. I do think this is a significant consideration (one of many that seems to be completely ignored or even actively dismissed) by "planetary frequency enthusiasts". IF the gods or Great Spirit or the Creative Life Force was actually thinking about planetary orbital "tuning" when setting the planets into motion, I'd sure think they would have been considering naturally occurring intonation of harmony rather than the compromised tunings of Equal Temperment. And if we are just looking at the planetary harmony and tuning from the perspective of it arising from random chance occurance of planetary orbital periods, then I suppose any tuning system could be used. I still personally would go with a naturally occuring system, measured in Just Intonation, than a contrived manmade system, Equal Temperment, whose purpose is to allow fixed pitch instruments like a piano or harpsichord to play equally well in all twelve keys. The planets have enough trouble playing in tune in one key let alone being concerned with an ability to modulate to other keys. "In my mind, it is so inconsequential and so distracts from the real important points that could be discussed. Personally I don't care about planet tones, chakra tone, dna tones, or any other "magic" tones. All tones are good. All tones are magic. The truth of life and vibration goes so far beyond planet tones and chakra tones. If people would stop focusing on this new age nonsense, maybe this space ship would actually get off the ground."